Cultural norms and values have a major impact on how we approach and negotiate our business relationships. Negotiating across cultures is both rewarding and frustrating. What does trust look like from their side of the table? What does “partner” really mean? And what is the role of the contract and the role of the personal relationship? This practical seminar builds upon your international negotiation skills and challenges you to take them to the next level. Using an “own-case” approach the seminar is ideal for all professionals needing to develop their skills, confidence and outcomes when negotiating with international partners. The program is aimed primarily at professionals with practical negotiating experience. reviewed the key principles, skills and processes required for successful negotiations. 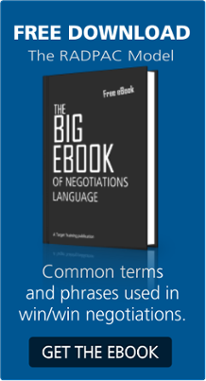 identified general and specific cultural challenges that may impact your negotiation process. developed a sustainable approach for preparing and planning, taking into account your partner’s preferences. reflected on authentic approaches to adapting your communication. developed a personal approach that is authentic and effective. Planning for success by identifying your objectives, limits and tradables. Understanding the human, behavioral and cultural aspects of negotiations. Applying awareness of key cultural dimensions to your personal negotiation process. Rules versus relationships (universalism – particularism). Individual needs versus group needs (individualism – communitarianism). Displaying emotions and personal feelings (neutral – affective). Building relationships (specific – diffuse). Remaining authentic while respecting your audience’s cultural preferences. Uncovering needs and priorities through culturally-appropriate questioning techniques. Dealing with objections and getting past “no” without damaging the relationship. Achieving win-win without meeting in the middle.